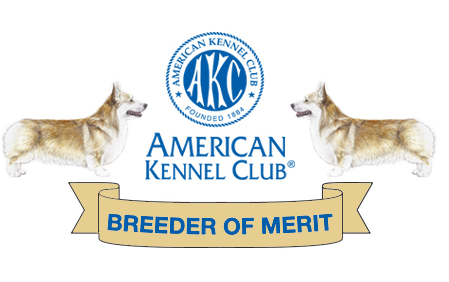 Why I Register My Dogs With the American Kennel Club and Why You Should Care That I Do! We are hoping for a litter late August, 2018. Check out our puppy page for more information. 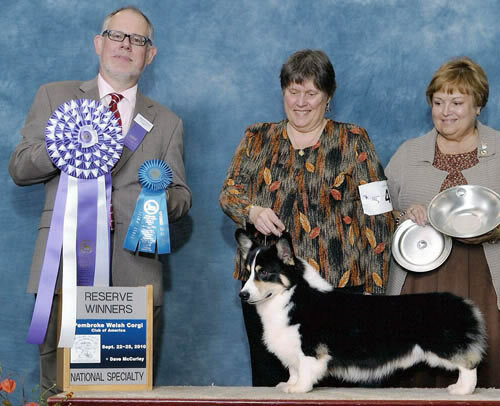 GRAND CHAMPION Woodsedge Brynlea Bastille My Heart - "Brie"
BRIE ended 2017 as the #2 Owner Handled Pembroke Welsh Corgi in the US! Left to right: GCH Woodsedge Brynlea Bastille My Heart "Brie" who took BOB that day, her daughter GCH Triecta EZ Brie Z "Dolly" who went WB and BW and Dolly's son Trifecta Eagle Scout "Dustin" who went Beginner Puppy BOB and Herding Group 1 in Augusta, GA October 2017. Dustin now has 3 majors in very limited showing. This is "Andrew" CH Jimanie Phantom of the Opera, shown below. and then finishes his championship in the next six shows at which he was shown following the National! Read Andrew's special story with more photos here! 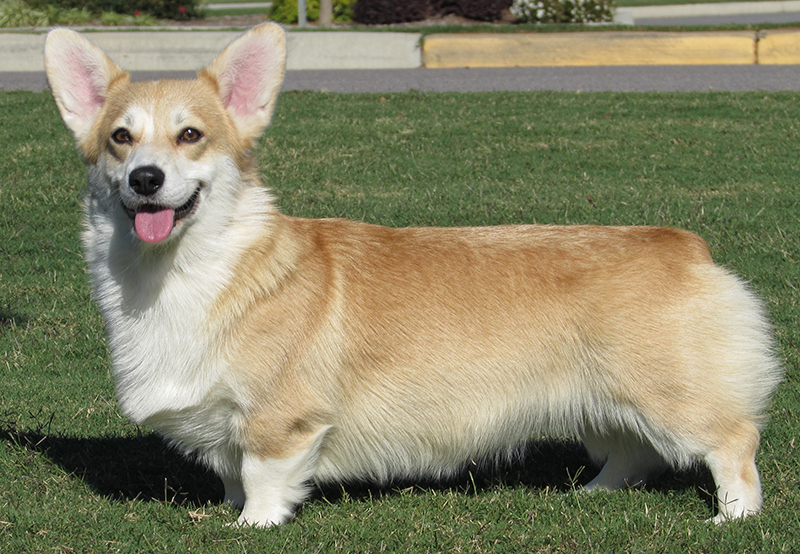 Jimanie, established 1969, devoted to the Welsh Corgi and the Pembroke Welsh Corgi in particular. 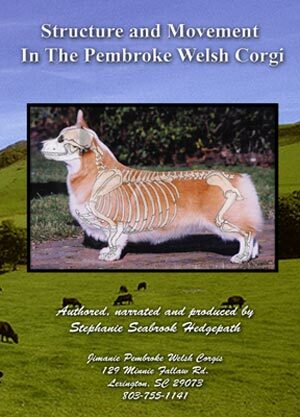 I am a member of the Pembroke Welsh Corgi Club of America, Inc.where I have served as a Board Member, Vice President and Webmaster. 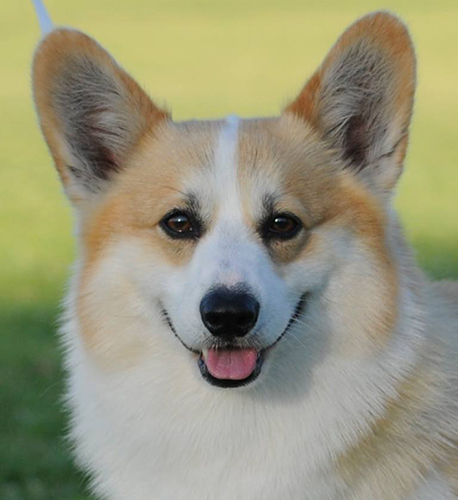 I am also the founder and a member of the Palmetto Pembroke Welsh Corgi Club, Inc where I have served as past President, Secretary, Treasurer and actively serving as Vice President and Webmaster. I am a lifetime member of the Columbia Kennel Club, Inc., lifetime member of the Greater Columbia Obedience Club, Inc. and a member of the Dog Judges Association of America. All text and artwork ©1996 - present S.S. Hedgepath, All Rights Reserved. Buttons and artwork on this page are original artwork and are not to be used without written permission of the author. Permission to reprint or electronically reproduce any document or graphic in whole or in part for any reason is expressly prohibited, unless prior written consent is obtained from the respective copyright holder(s). Pegasus Web Productions and its affiliates are not legally liable for the information content of this system nor for the use of it.